An effective paid search campaign on Google Adwords and Bing Ads is a great way of maximising your marketing budget, providing a cost-effective tool to drive traffic to your business website. But in order to get the most out of your online advertising you need to have in place a professional digital marketing firm. We’ll manage every aspect of your PPC campaign, from the initial research into your competitors, to market analysis, to putting in place a winning strategy based on the goals of your business. 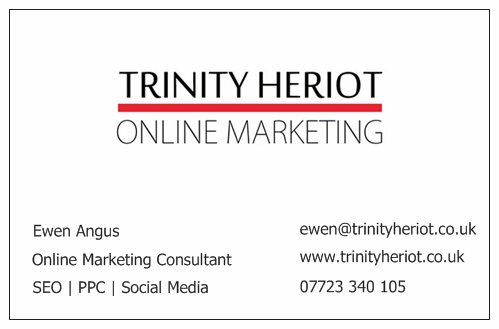 Ongoing we will continue to manage and optimise your PPC campaigns based on budget, results and the changes in the market. PPC is an area of online advertising where you definitely can’t afford to stand still. 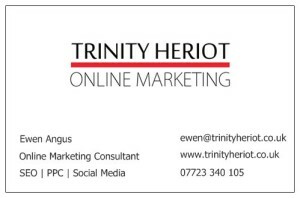 Contact Ewen Angus at ewen@trinityheriot.co.uk to learn more about our approach to PPC marketing and how we’ve helped dozens of companies in all industry sectors – from retail to professional services to accommodation firms – across Scotland and the UK to online success.